Ah yes, the golden question for millennials. Should you pay off your student loans first? It's not that I think Millennials aren't smart enough or have too low of a risk tolerance (although the latter horse has been beaten into the ground mercilessly for years by old people). As I was on the phone with the reporter, I realized that the problem is probably much more related to disposable income and debt than anything else. Millennials are having enough problems with car and student loans, saving for down payments on houses, or any other myriad of strains on their almost empty wallets to even freaking think about putting cash into the markets. It also doesn't help that we watched mommy and daddy's 401k repeatedly self-destruct every few years while we were growing up. As a team, we're sorta broke, and really broken. Sorry. The article turned out really well, the reporter was way cool, and I thought the story was super relevant and brought up some good thinking points. I'll link it further down in the post if you want to check it out in a minute or two. 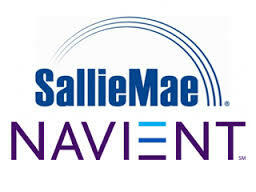 But let's get to it – what should you do with your extra cash…invest or pay Navient (Sallie Mae's weird cousin) back? I think it's really important to get started early in the markets or some type of investment vehicle. REALLY $*(#&*% IMPORTANT! However, my strategy was to get rid of the debt first, and I really strongly believe that it's the best way to go about the whole thing. To the people out there that say: “You can get a higher rate of return in the market than the 6% interest on your loans, so investing is the smartest way to go”, I hear you. I also think you're wrong. While you absolutely could get a great return in the market, you can also lose money hand over fist. My theory with debt vs. investing has always been that you get a guaranteed return every time you pay back debt early. Every. Freaking. Time. You are putting interest that you would have eventually paid right back into your pocket! Who doesn't like guaranteed returns?? You may be thinking: “But M$M! I've read that the average market returns are anywhere from 7-10%! That is WAY better than the 6.8% that I pay towards my student loans!” Unfortunately, there is a major flaw in that logic. You are essentially borrowing money at 6.8%, and trying to use it to get a 7-10% return through investing. You're risking your precious extra cash for .2-3.2% returns! 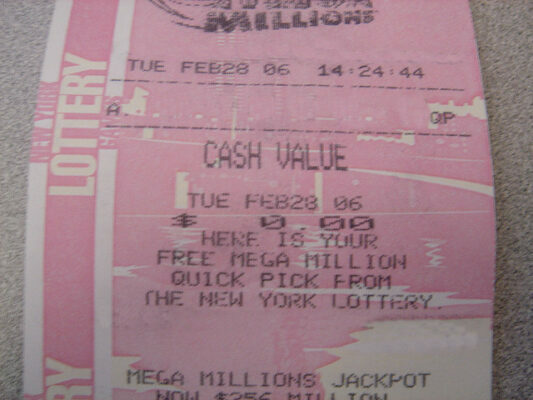 To me, that strategy is similar to buying lottery tickets to pay your student loans off. I'll take the guaranteed 6.8% return every day, thank you. You can't get guaranteed returns that high through equities, bonds, real estate investing, treasury notes, etc. etc. etc. etc. etc. etc. * If you pay off your student loans by throwing your extra cash at them, you WILL put that interest money back in your pocket. No brainer. *The two exceptions to this entire article are a 401k match or crazily low student loan interest rates (think 2%). If your employer does a 401k, you should max that out and then pay off your student loans. It's free money, and I can't argue with that. And if you have loans with that low of interest, good for you. Stop bragging already and get off my lawn. I like your logic on this argument. I think the peace-of-mind argument also trumps the math logic. If you’re trying to get out of debt while accumulating wealth, it’s a tricky business to juggle. One has to become the priority. And paying off debt allows you to then focus all efforts on wealth accumulation as someone confident and in control of your finances. And that’s big. You’re right, you FEEL better when those loans are gone. I’m interested to see what some seasoned investors think about this. I will agree with you. Paying off the loans at 6.8% or even when they are down at 4-5% is a better investment especially with student loans. #1 reason is you cannot bankrupt out of student loans. #2 you have to make a payment even when you fall on hard time. If you begin to struggle or want to buy a house or want to make a career move the last thing you want to have controlling your decision is the necessity to make that payment on time. Once the student debt is paid off its a burden of the chest, its freedom, its knowing you don’t OWE ANYONE money. Its peace of mind. Some may view things differently and it does depend on the person and the exact situation when making the decision. Student loans are a nasty kind of debt for sure. One of the best feelings I ever had was making my final payment…I’d take that over a small return in the market any day. Oh man, this is a question that has been circling around in my head for a long time. Your point is very well taken. But you’re talking just about random investing, right, not a 401k? For some reason that I can’t quite explain, I really feel like maxing out one’s 401k is still a good idea market uncertainty notwithstanding. (Particularly if there’s an employer match program available, but even if not.) Thoughts? If a 401k is present – I would contribute until the employer stops matching and then pay off debt with the remainder of my cash. It’s hard to argue against the free money from an employer! Your math isn’t wrong – you can absolutely get better returns by investing in a retirement account instead, but they aren’t guaranteed like the returns are with paying down debt. Entirely depends on your risk tolerance!